As the opportunity arose this year for AIA Central Coast to find a new partner, it did not take long to recognize the San Luis Obispo Childrenâ€™s Museum as a perfect new co-sponsor for the popular event that attracts over 10,000 visitors each year. In keeping with a 23-year SLO tradition, via dei Colori SLO will feature dozens of talented artists, many of whom travel from out of state to participate. The new event will take place mid-September in downtown SLO under the backdrop of Mission San Luis Obispo de Tolosa. AIACCC and the Childrenâ€™s Museum share a strong, long-standing commitment to childhood art education, so both organizations are naturally excited about the new partnership. AIACCCâ€™s fundraising efforts continue to provide scholarships each year for local school art programs, while the Childrenâ€™s Museum has been an invaluable local resource for children since 1990 as a place where lasting memories are created in a playful learning environment. The new partnership will better serve local schools with fundraising from a broader donor base, as well as a greater number of dedicated volunteers. More information is expected to be released in the coming weeks, however anyone with interest or questions is encouraged to contact AIACCC or Childrenâ€™s Museum for more information. Contacts are provided below. The American Institute of Architects Central Coast Chapter was founded in 1979 as a local chapter of the AIA, the primary professional organization for American architects. AIACCC provides a network connecting architects with architects-in-training, as well as affiliated professionals and vendors with the goal of improving the built environment while enriching the natural environment through sustainable initiatives such as the AIA 2030 Challenge. For more information please visit http://www.aiacentralcoast.org. The mission of the San Luis Obispo Childrenâ€™s Museum is to provide a fun place for children and families to explore, discover and learn through hands-on exhibits and programs. Each year, the Childrenâ€™s Museum is proud to offer tens of thousands of children, their families, caregivers and teachers a variety of educational experiences that enrich their lives. 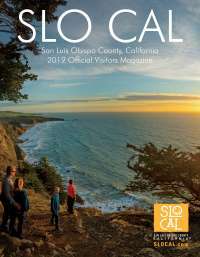 Program and activity information can be found at http://www.slocm.org or by calling (805) 545-5874.